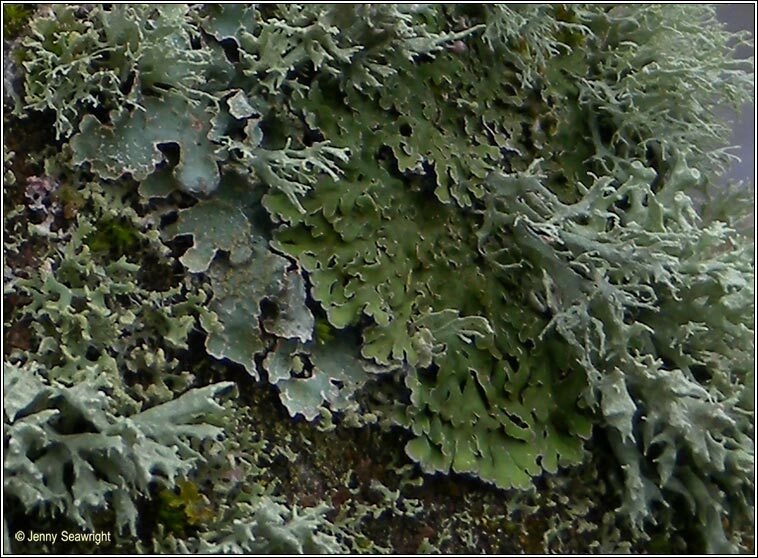 Palmate lobes, green when wet, brown-grey dry, lobe ends white pruinose. 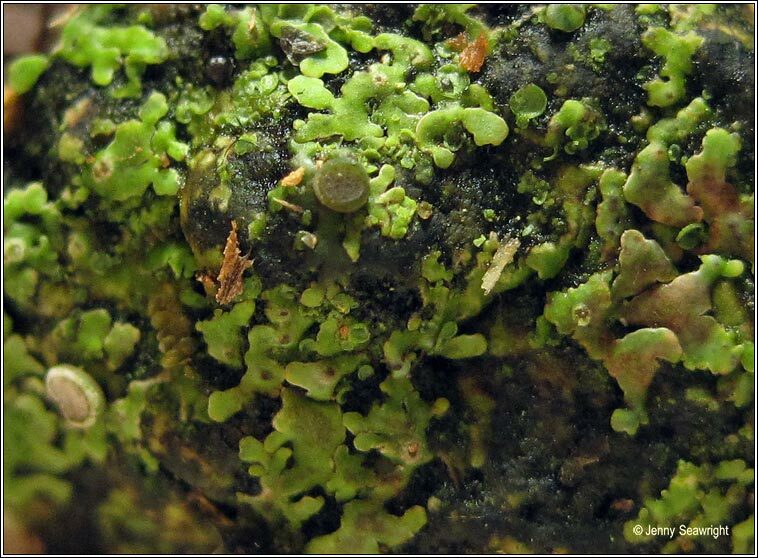 Often with small lobules in centre of thallus. Under-surface whitish at tips, black in centre with black 'bottle-brush rhizines. 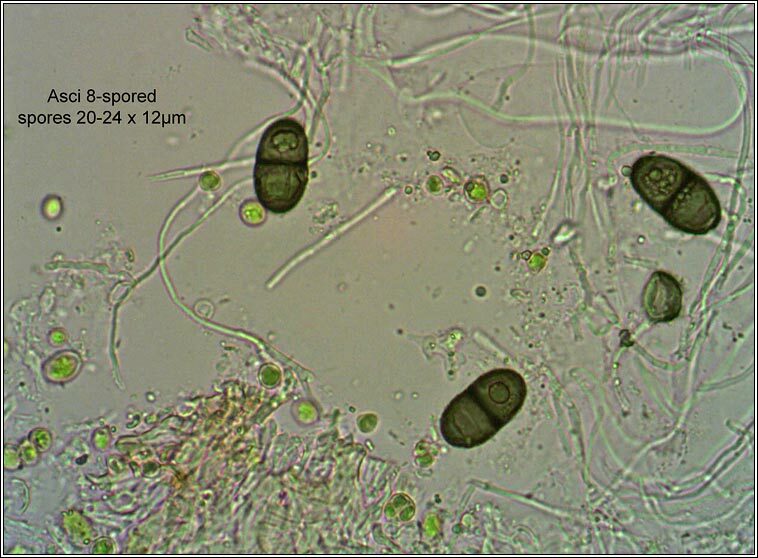 Pseudocyphellae, isidia and soralia absent. 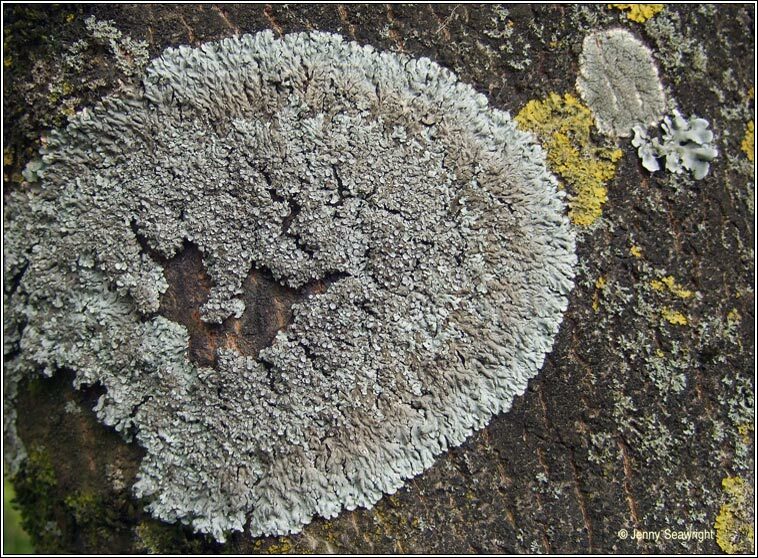 Apothecia frequent, brown with coarse pruina and thick, sometimes lobate, margin. Pycnidia frequent. 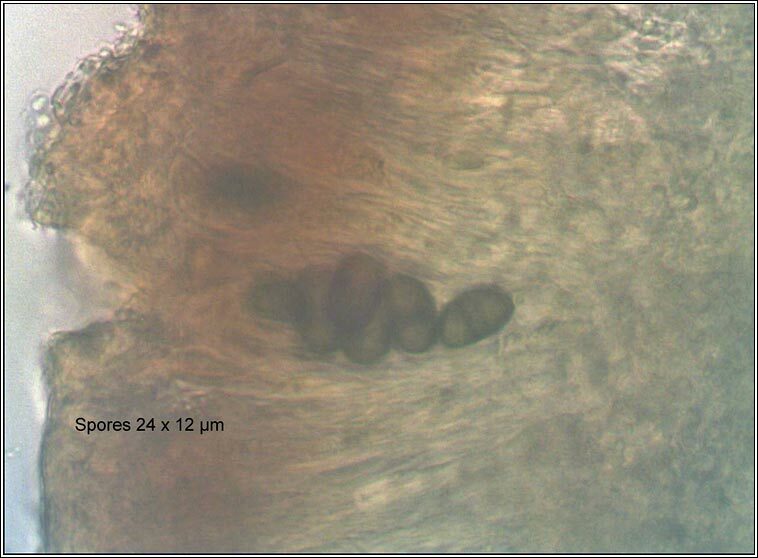 Asci 8-spored, spores brown, 1-septate, 25-40 x 12-20 µm. Micro photographs below. 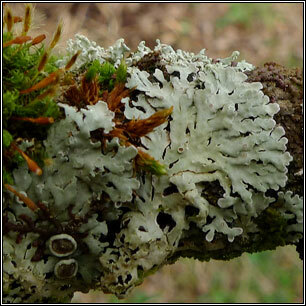 Widespread on basic or nutrient-rich trees, also on mossy rocks. 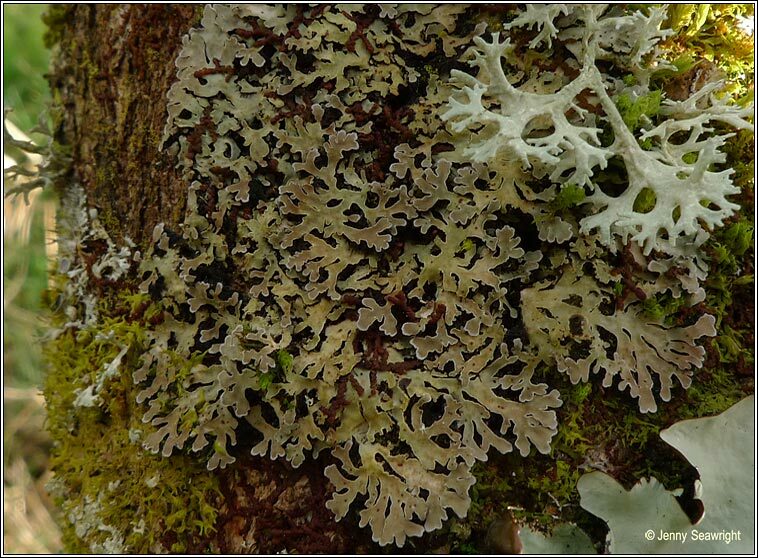 Similar: Physconia perisidiosa, isidiate, medulla negative. 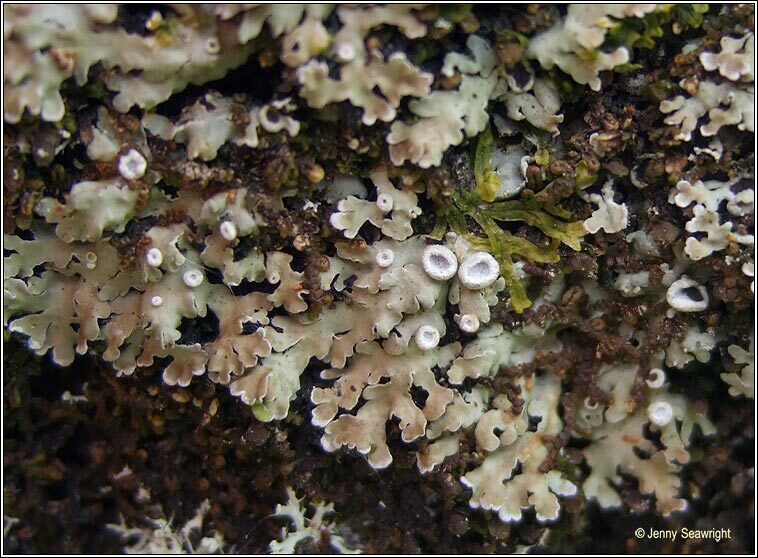 P. enteroxantha, sorediate, apothecia rare. Medulla K+ yellow.